On Friday, the Miami Heat will hit the road to take on the Atlanta Hawks in the first of a six game road trip. 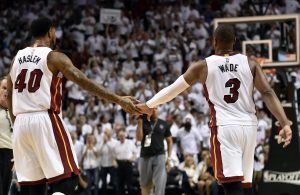 The Heat (4-1) is coming off a decisive 103-73 victory against the new look Brooklyn Nets where Dwyane Wade led all scorers with 22 points and Lebron was two assists shy of a triple double. Yahoo Images: "The most intriguing matchup will be when high flying lefty Josh Smith squares off against three-time MVP, Lebron James"
Johnson to the Brooklyn Nets for Jordan Farmar, Anthony Morrow, DeShawn Stevenson, Johan Petro, Jordan Williams and a 2013 first round pick via Houston. 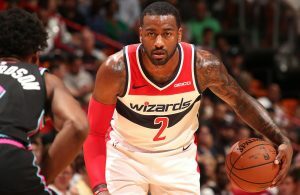 At first glance, sending an all-star to a fellow Eastern Conference team like the Nets was puzzling for Atlanta but in hindsight Johnson overstayed his welcome on a team that could not get past the first round of the playoffs. Johnson, who signed a six year 123 million deal with Atlanta in 2010, has averaged less than 20 points per game since signing the deal and is widely regarded as the most overpaid player in the league. Moving his bloated salary was essential for the Hawks to surround big man Al Horford with more depth and shooting, but the effects of losing a star will prevent Atlanta from contending for the next few seasons. Ferry did more house cleaning this summer by sending the disappointing Marvin Williams to Utah for point guard Devin Harris. Williams a former second overall pick in the 2005 draft, had two years left on his 15.8 million contract and never found his role alongside Josh Smith and Al Horford. Harris, who was the cornerstone for the Jazz in the trade that sent Deron Williams to the Nets, has averaged 13 points and five assists per game in his career but struggled to live up to the hype in Utah. Harris will be on the second unit and come off of the Hawks’ bench in place for both Jeff Teague and Louis Williams. Williams spend the first seven years of his career with the 76ers, and had a career year last season averaging 14.9 points and 4.5 assists leading to his free agency. He signed a 4 year 21.13 million deal with the Hawks and is second on the team with 16.7 points per game through their first three. Additionally, Jeff Teague, Atlanta’s starting point guard has doubled his career totals to start the season by averaging 15.0 points and 6.0 assists per game. Look for both Teague and Williams to continue his success, matched up with Mario Chalmers, who has struggled defensively on the perimeter. Once Kirk Hinrich left Atlanta to return to Chicago, Ferry targeted veteran Bulls guard Kyle Korver. Korver has been one of the best shooters in the league, making a career out of finding ways to get open for three point shots. Korver will be a key off the thin Atlanta bench this year, bringing a similar but limited sort of skill set that Ray Allen brings to the Heat. On the road against the Thunder, the Hawks outscored Oklahoma City 57-44 in the second half, holding the duo of Kevin Durant and Russell Westbrook to a combined 36 points. Newly acquired guard Kevin Martin did connect on six three pointers and led the Thunder with 28 points off of the bench. This is a great omen for Ray Allen, who can also take advantage by exposing the Hawks inability to defend perimeter shooting. Through the first week of the season, the Heat has struggled to defend, especially the post, which is where the Hawks excel on offense. Al Horford has solidified himself as a top post player and was rewarded last year by being elected to his second all-star game. Chris Bosh has had an excellent start on the offensive end but will have his hands full with Horford who is averaging 17.7 points and 8.7 rebounds in his first two games. “In order for us to win a championship, we have to defend,” Lebron James said. Coming back from off-season knee surgery, Dwyane Wade has returned to his form averaging 20.4 points and 4.6 assists in the first five games. Focusing more on driving to the hoop, Wade has connected on an efficient 56.9 percent of his shots from the field and has only three attempts from three point range. The most intriguing matchup will be when high-flying lefty Josh Smith squares off against three-time MVP, Lebron James. Smith is one of the few players in the league versatile enough to battle with James both in the paint and on the perimeter. But James, who is leading Miami with 22.4 points and 9.8 rebounds per game, will be expected to lead Miami into Atlanta, and repeat the same success as last season. 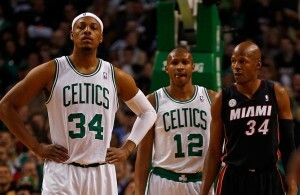 Miami took three of the four head-to-head matchups with Atlanta last season, and averaged 101.0 points per game. 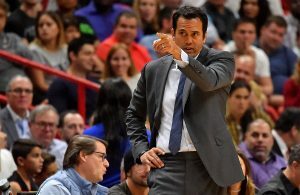 Through five games the Heat are averaging 110 points per game to lead the league and will look for their first road victory against the Hawks. Expect another bombardment of offense from the Heat in this Southeastern Conference battle. “We look forward to the challenges that are going to come upon us this year,” James said.